It is estimated that 80 per cent of private traders lose money. The explanation behind this shocking statistic is that most investors are still using training wheels when compared to the professionals. If you’ve been following rules of thumb, pure technical analysis and your broker’s sales pitches, but you haven’t seen the returns you’d like, then you need to read this book. An End to the Bull is a no–nonsense guide to investment strategies and tools that everyone can and should use—but few are. The big banks don’t trust charts and graphs alone, so why do you? 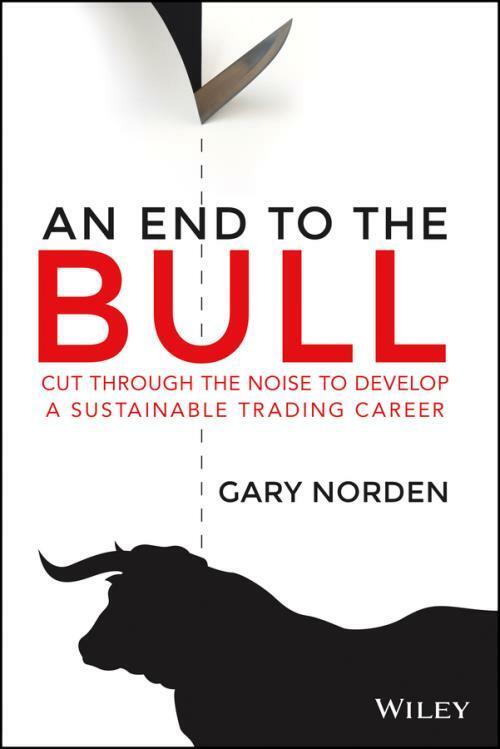 Inside, Gary Norden uncovers how trading really works, so you can win in any market. understand volatility, behavioural finance and other advanced concepts. The pros use the techniques in An End to the Bull every single day. You don’t need a supercomputer or a PhD in economics to invest successfully. All you need is the right set of tools and the determination to stop being duped by the financial junk food industry. With this book, you will finally have everything you need to trade like a professional trader.